The nightmarish delays that started Wednesday at Hartsfield-Jackson Atlanta International Airport apparently aren’t over after nearly four days, as reports of long lines and more flight delays popped up on Saturday morning. Doesn’t this really make you wish you could drive everywhere? 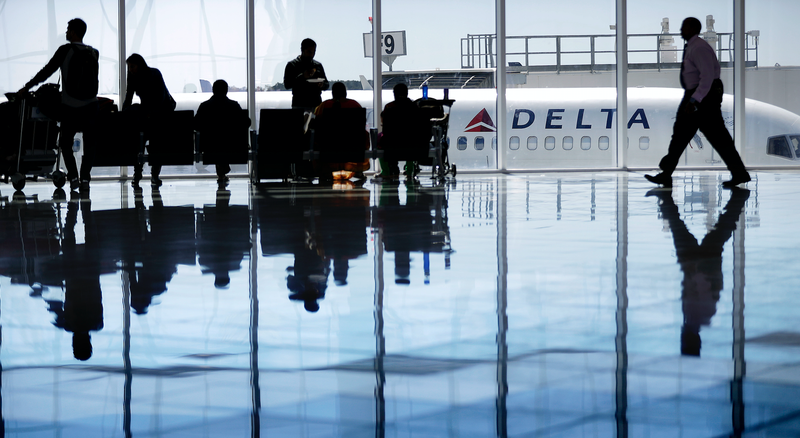 The New York Times reports that the trouble started when thunderstorms rolled into Atlanta on Wednesday, delaying flights and putting a hold on incoming planes for several hours at Delta Air Lines’ biggest hub. The crew and passenger delays in Atlanta spread to other airports due to the backlogs and Delta even began buying passengers pizza to help lighten the mood, according to the Times. The flight delays mean long lines to nowhere and sitting in small airplane seats while waiting for a pilot who probably won’t ever arrive, which sounds like the perfect layout for hell if the high temperatures ever get too pesky. Well, minus the pizza, that is. There probably isn’t any pizza in hell. Delta’s operation continues to recover as airline teams work around the clock to return flights to normal following the disruption from severe storms in the Southeastern U.S. and East Coast this week. Approximately 275 flights have been canceled Saturday morning, with some additional cancellations possible. There are worse ways to spend several days of your life, but being stuck at an airport definitely isn’t the stuff of daydreams. And unfortunately, the roads in Atlanta aren’t doing so well, either.